Small white painted message board. 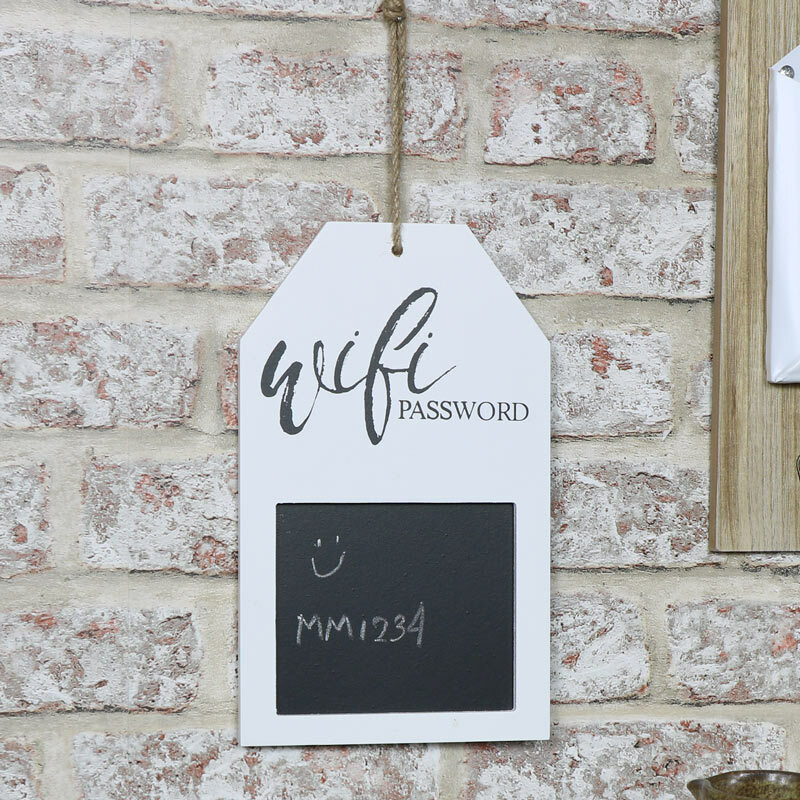 Square blackboard display for the Wi-Fi Password. Great modern design, can be hung in the living room or the bedroom. A great quirky little gift idea Keep your home organised and make sure you always know how to log on and log in. (Please be aware that chalk pens are unsuitable for use with this board and may stain). Small white painted message board. 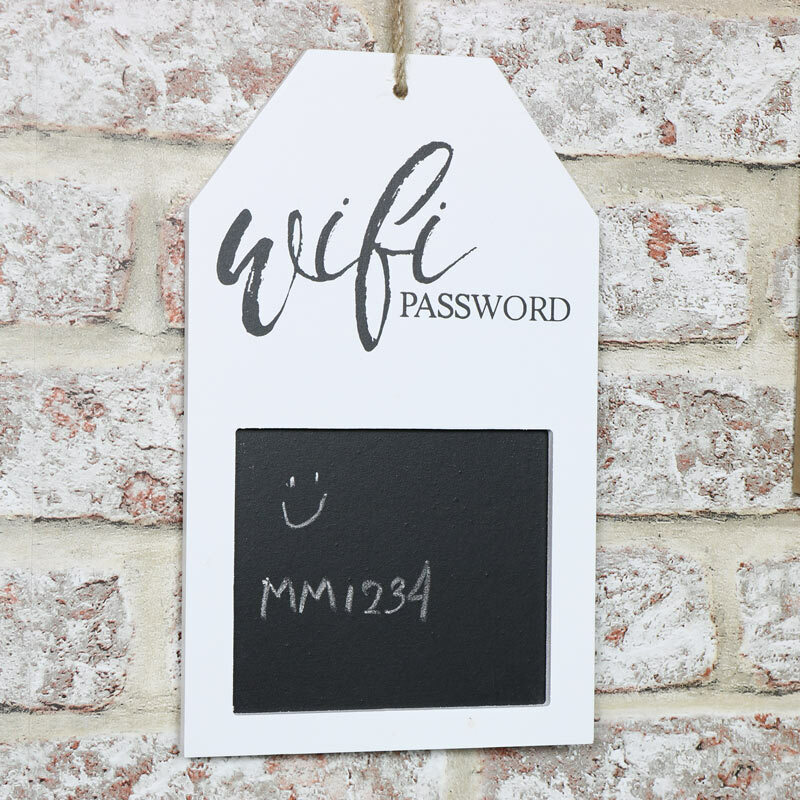 Square blackboard display for the Wi-Fi Password. Keep your home organised and make sure you always know how to log on and log in. (Please be aware that chalk pens are unsuitable for use with this board and may stain). Wood frame in a white painted finish. In a lightweight design and easily wall mounted with piece of twine.